Is a grand road trip in the Pacific Northwest on your bucket list? If so, you landed on the right page! In this blog, we’ll tell you everything you need to know for an exciting road trip from Portland to the Oregon Coast. This epic adventure takes you to majestic landscapes and must-see attractions, making every stop worthwhile. 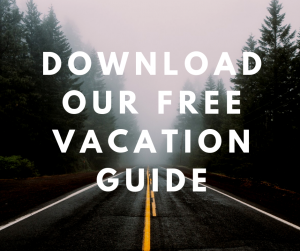 To ensure your visit to the Oregon Coast is the best it can be, download our free Vacation Guide! This helpful planning tool offers insights on local restaurants, events, museums, shops, and more. Don’t wait another minute; plan your getaway today! HOW FAR IS THE OREGON COAST FROM PORTLAND? Before heading west, you need to collect some general information about your journey and destination. Portland is only an hour and a half away from the Pacific Ocean (approximately 80 miles), but driving along the coast can take up to three hours. It’s not a tiring trip, nor a long one, but it’s definitely a breathtaking experience! 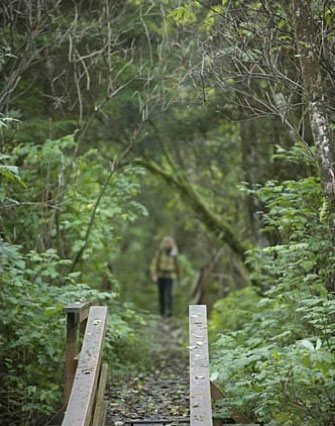 The Banks-Vernonia State Trail is 23 miles away from Portland and is a cyclist’s paradise. Take your bike off your car and ride through the area’s dense forests and scenic farms. There are six trailheads that give you the opportunity to customize your route. Afterward, grab a bite to eat in the town of Vernonia! This small community was once a pioneer settlement and boasts many quaint coffee shops. Order a latte to go and proceed to your next stop. Take a well-deserved lunch break at Camp 18 in the town of Elsie, along Highway 26. You’ll feel like you’ve stepped back in time when you set foot in the 19th-century log cabin. Grab a seat in the rustic dining room and warm your fingers by the fireplace. Some of our favorite menu items include the meatloaf and homemade cinnamon rolls! Camp 18 also features a historic water tower, gift shop, and even a logging museum. The road leading up to Seaside from Elsie is stunning. Imagine driving past towering trees with your windows rolled down, breathing in the fresh smell of the Redwoods. Everything is green and blue. After you’ve turned from Highway 26 to Highway 101, head north to the welcoming town of Seaside. Park your car and walk down Broadway toward the ocean. It has one of the biggest beaches you’ll ever see! Make sure you stop at Phillips Candies to taste the world’s best taffy. 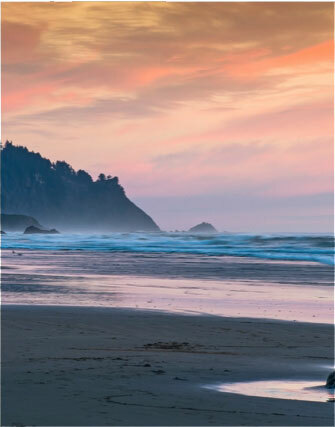 On your way down from Seaside to Cannon Beach, take some time to discover the wonders of Indian Beach. This place makes for a magical hike with some of the most breathtaking landscapes in the area. Admire ancient rocks that are more than 15 million years old and walk in the footsteps of Lewis and Clark, who used the trail during their expedition in 1806. Cannon Beach is one of the most scenic and famous towns on the Oregon Coast. There are plenty of things to do, including hiking, birding, strolling through farmer’s markets, visiting art galleries, touring the lighthouse, and admiring colorful tide pools. However, the most famous attraction of all is Haystack Rock. You can spot this famous landmark as you drive along the coast. We recommend stopping here at sunset; there’s nothing more magical than seeing the shadow of this impressive rock against the soft rays of the sun, with its reflection on the shiny sand beneath your feet. Settle in the best Oregon Coast town there is: Cannon Beach! 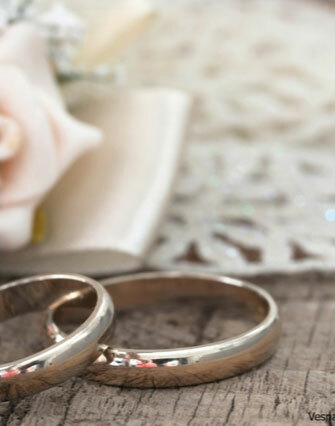 Our inn is located there and can make for the perfect romantic nest away from the business of Portland. 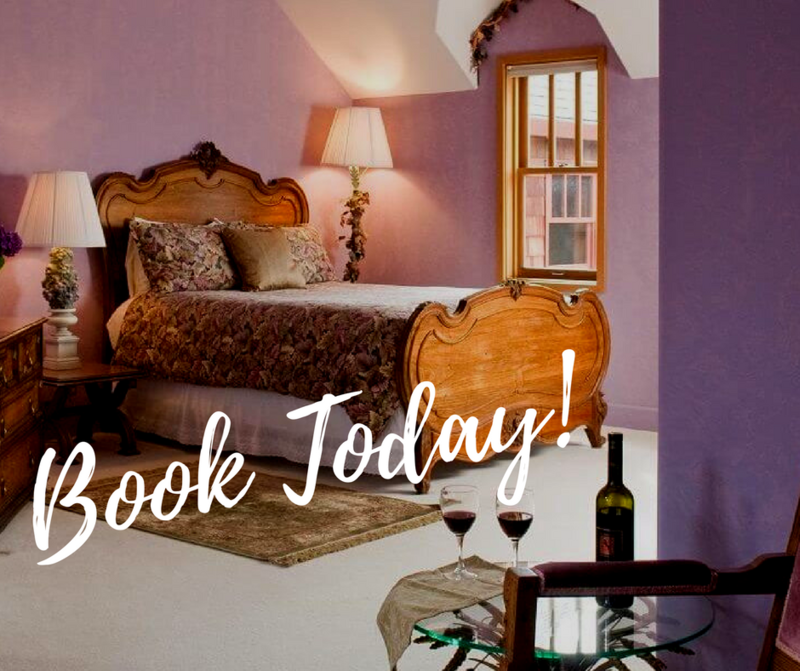 Arch Cape Inn is a gorgeous, French chateau-inspired B&B that offers an authentic Oregon Coast experience. If you are looking for a relaxing getaway on the coast, then we’re the perfect pick. Enjoy a variety of modern comforts, plus elegant amenities and high-end service. Browse our accommodations today and pick your favorite! Our Gauguin Room is ideal for a much-needed rest. Immerse yourself in the relaxing atmosphere, complete with framed prints on the walls and a gorgeous bathtub that opens up into the room. 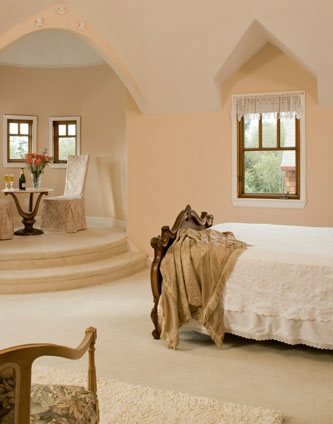 Rest your legs by the fireplace with a glass of wine, then get a good night’s sleep in the soft queen bed. After falling asleep to the sound of crashing waves, wake up and follow the smell of coffee downstairs where a delicious, homemade breakfast awaits!